Our new garden storage box unit is the latest addition to our storage range. A minimal lip at the front makes the storage of heavy or bulky items effortless. When security is important – this unit can be locked at the side with four padlock points available. The GardenBox is designed to be bolted down onto a hard (concrete) base which must be flat and level. 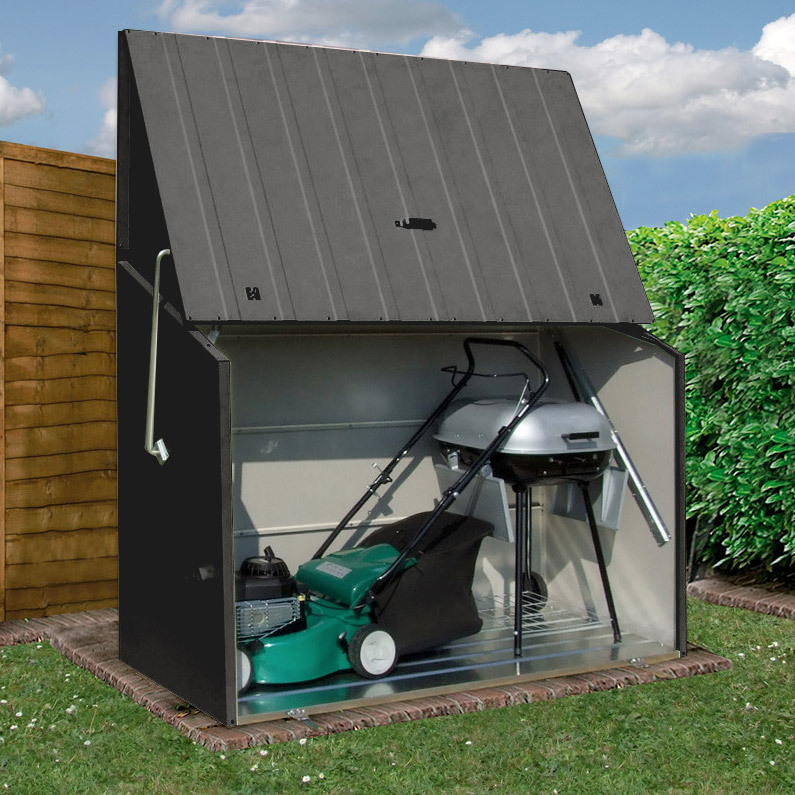 The new Garden Box storage unit is the latest addition to our garden storage range. It has a reinforced metal floor that is supplied as standard. With the stainless steel hasps and staples (two supplied) you can lock the front door to the base. You’ll feel confident in the security of your garden tools because the sides can also be secured at four padlock points. To assist operation, the Garden Box features special gas filled struts making opening / closing the door exceptionally smooth and easy. You won’t need to block out a morning to set up your garden storage as the Garden Box has been designed for rapid assembly. 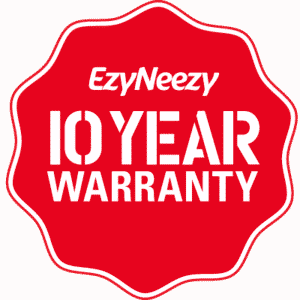 This product currently comes in charcoal gray colour. 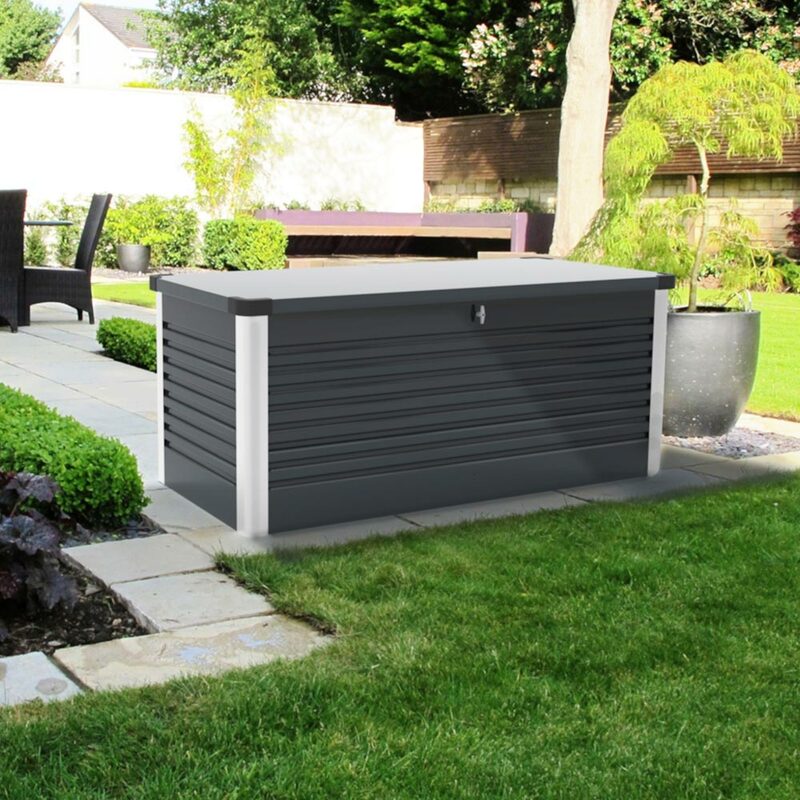 A compact and functional storage solution which can be used on decking or patios – they are perfect for general garden use and ideal for storing swimming pool equipment. 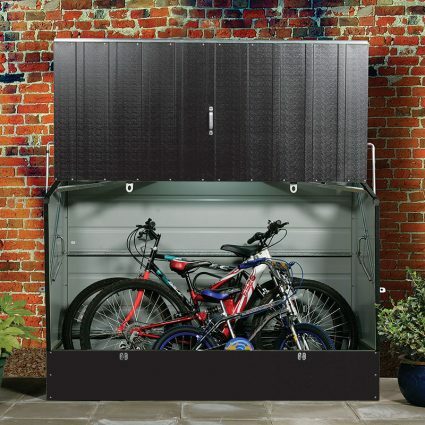 The BikeBox™ is the unique, practical and easy-to-use steel storage cabinet that can securely store up to 3 adult bikes. The BikeBox™ with Security Kit option includes high-spec security accessories for added peace of mind.